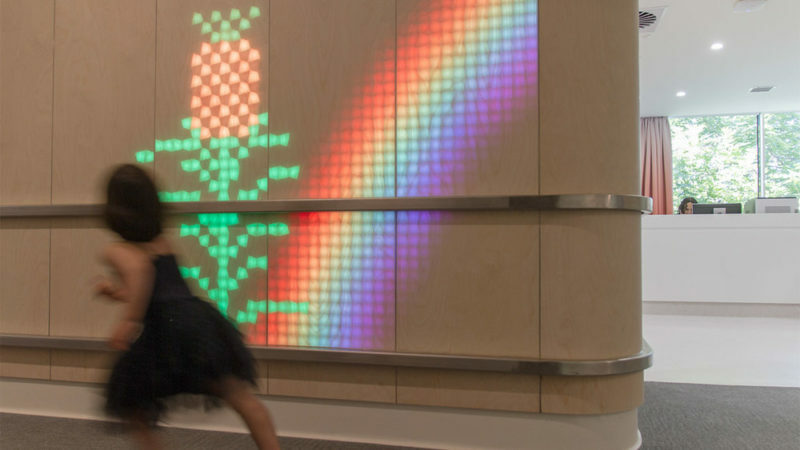 Multimedia design studio ENESS, together with DesignInc and Cabrini Hospital, have created LUMIS, an interactive light-emitting wood wall system at the entrance of the new pediatric’s ward of the hospital. 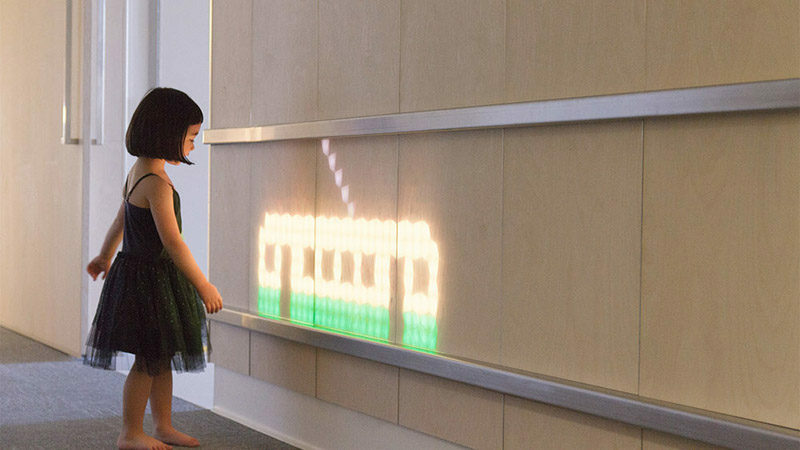 Visitors trigger the animations of landscapes and animals that bring the wall to life, with the moving graphics capturing the imagination of the children. 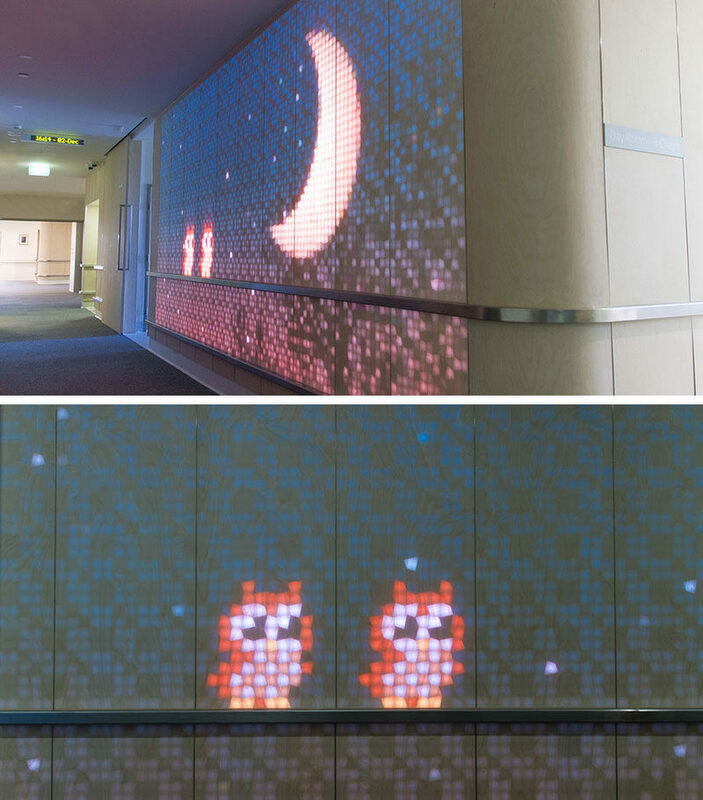 The interactive wall has a 15 different themes that are broken up into day and night themes, like grass slowly growing when you walk past, or a moon with owls. 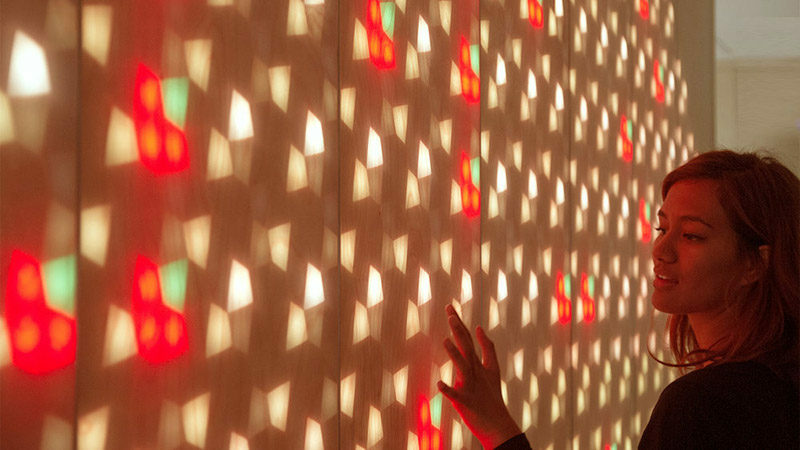 The entire wall can be filled with a variety of shapes and colors, and when not in use, the wall simply looks like any other wall. Watch this video created by Shannon Morris Photography to see it in action.